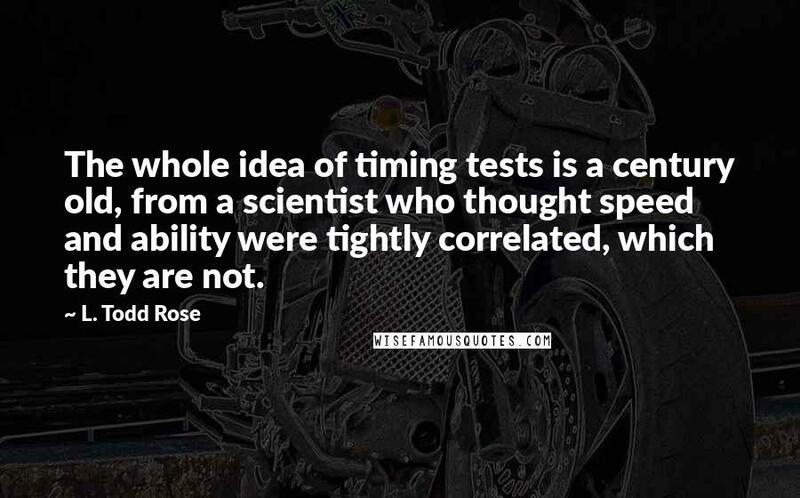 The whole idea of timing tests is a century old, from a scientist who thought speed and ability were tightly correlated, which they are not. 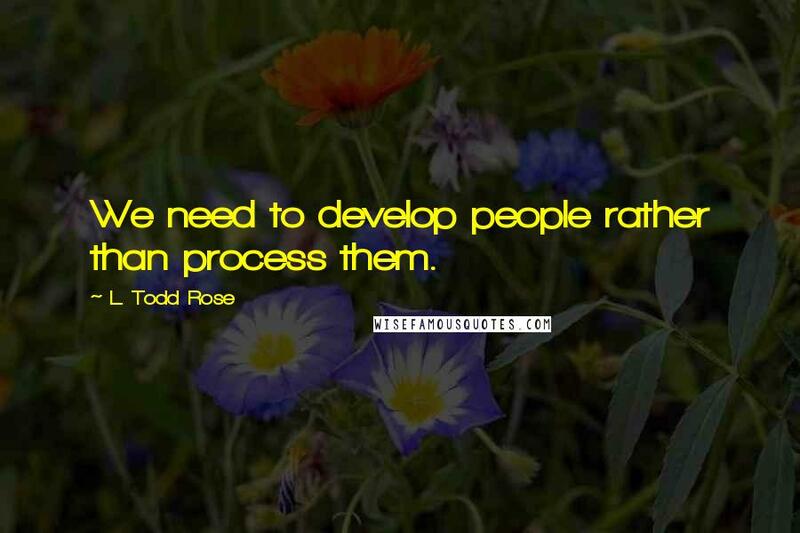 We need to develop people rather than process them. 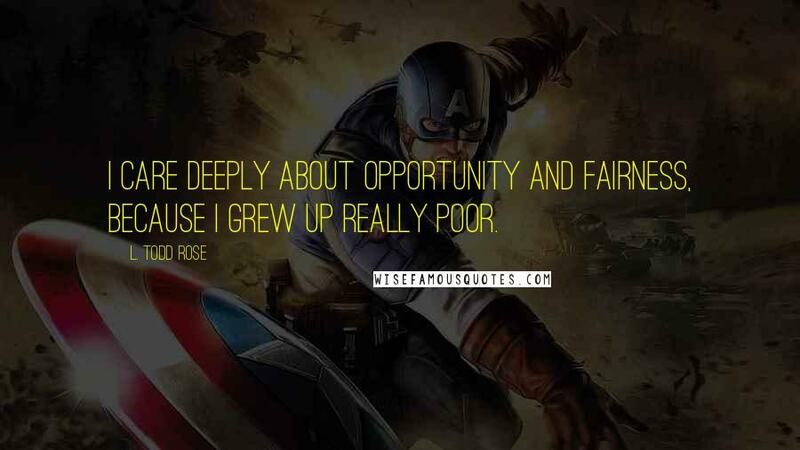 I care deeply about opportunity and fairness, because I grew up really poor. 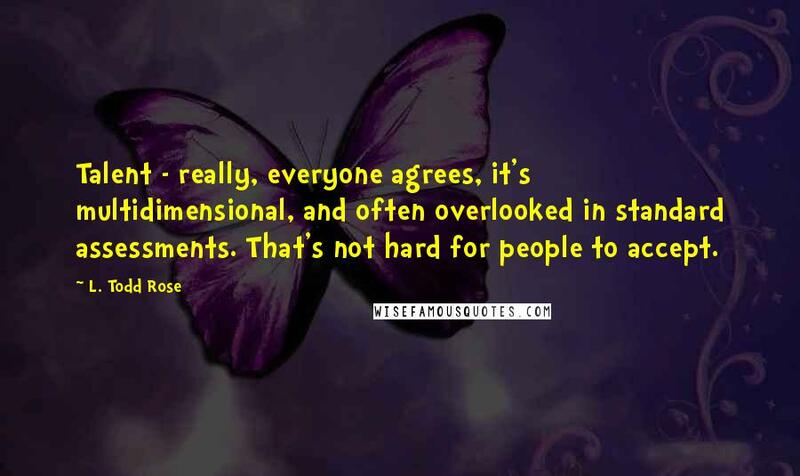 Talent - really, everyone agrees, it's multidimensional, and often overlooked in standard assessments. That's not hard for people to accept. 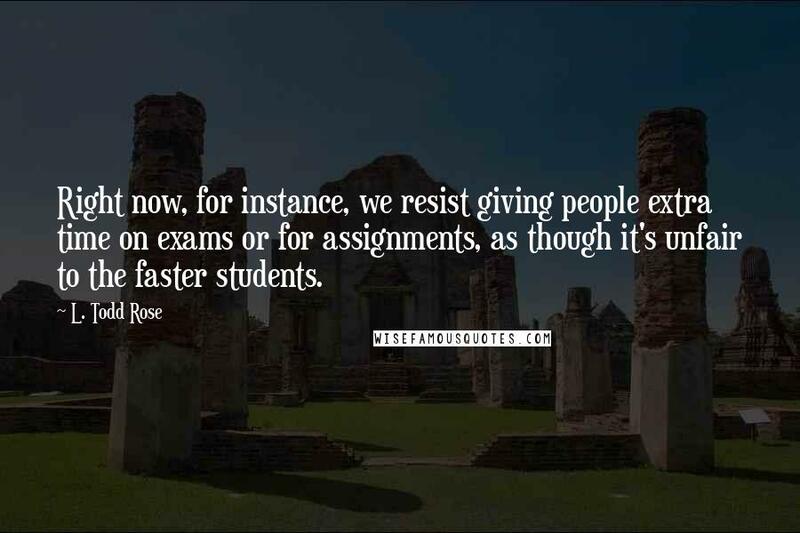 Right now, for instance, we resist giving people extra time on exams or for assignments, as though it's unfair to the faster students. Character is incredibly jagged, and incredibly contextualized, even to the point where I still feel uncomfortable thinking about it. 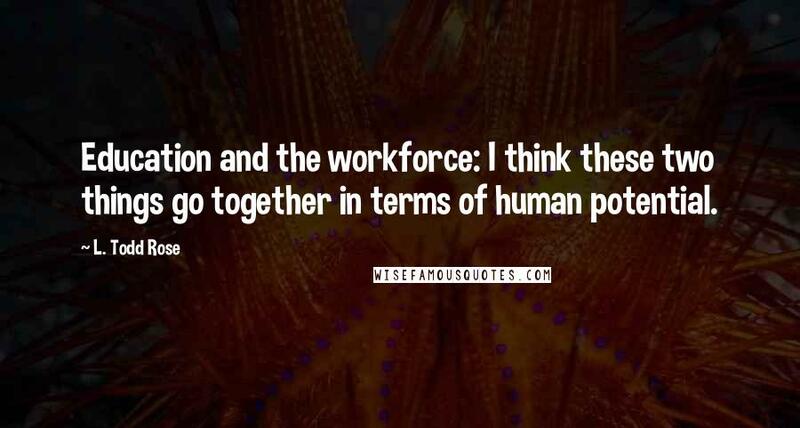 Education and the workforce: I think these two things go together in terms of human potential. 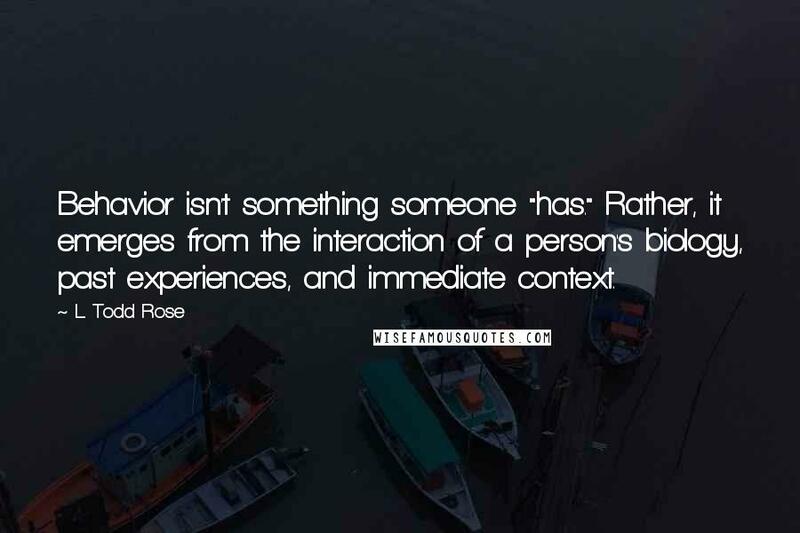 Behavior isn't something someone "has." 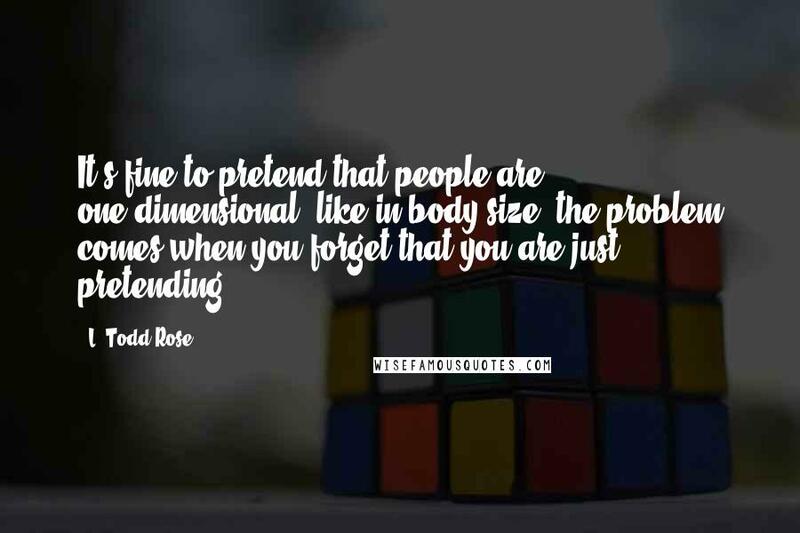 Rather, it emerges from the interaction of a person's biology, past experiences, and immediate context.